Special rates are charged by the Royal Air Morocco to the WEEC 2013 Congress participants. In order to benefit from these rates, please go to the nearest Agency Royal Air Morocco with the proof of payment of the Congress registration fee. Supratours (024 435525; Ave Hassan II) offers cushy air-con buses to/from Essaouira and Agadir; book in person or via your hotel/riad. Book buses to/from Fez, Azilal/Cascades d’Ouzoud, Ouarzazate and other Moroccan cities at the CTM counter at Gare Routière or at the Guéliz CTM office (024 448328; www.ctm.co.ma; Blvd Mohammed Zerktouni, Guéliz). Buses arrive and depart at Gare Routière at Bab Doukkala. For the train station (024 447768, 090 203040; www.oncf.ma; cnr Ave Hassan II & Blvd Mohammed VI, Guéliz), take a taxi or city bus (buses 3, 8, 10 and 14, among others) from the centre. 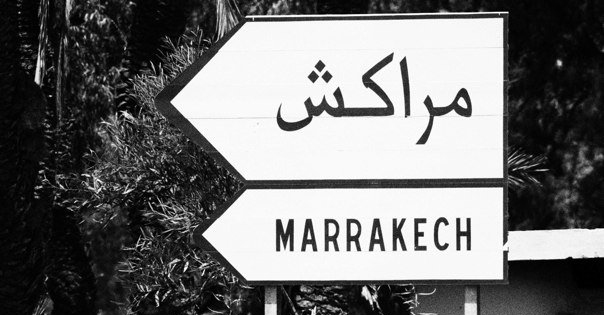 There are trains to Casablanca (three hours, nine daily), Rabat (4½ hours, eight daily) and Fès (eight hours, eight daily) via Meknès (seven hours). A night service goes to Tangier. 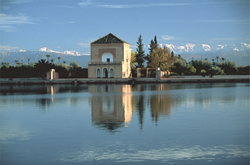 The main point of arrival and departure is Menara airport (024 447865), a 6km ride southwest of the Medina and Guéliz. Petits taxis (local taxis) cost around Dh60 by day or Dh80 at night, or an airport transfer arranged through your riad (guesthouse) or hotel will be Dh150 to Dh200. Airport transfers to/from the Palmeraie cost Dh150 to Dh250. Low-cost airlines are a benefit to travellers, but a burden on the environment and Marrakesh’s air quality; to travel with a cleaner conscience, consider a carbon-offset program and a donation to a local nonprofit.